In recent years there has been a large settling of New Arrival families in Bendigo, mainly Karen people from the Thai/Burma border and Afghani people from Iran. The college offers an EAL VCAL program to support our refugee-background students who have had disrupted schooling before arriving in Australia and for whom English is not their first language. The college runs a Foundation EAL VCAL program for New Arrivals and an Intermediate/Senior EAL VCAL program for students who have more developed English skills. All students complete Personal Development Skills, Work Related Skills, Numeracy and Literacy, with the Intermediate/Senior students undertaking a VET and VCE subject of their choice, directly related to their career path. Our program is project-based and has an integrated approach with the teachers of Literacy, Numeracy, Personal Development and Work Related Skills working together to make units of work that are cohesive and have a literacy focus. The units of work we do are real life, hands-on and relevant to our students, and aim to build key language and skills within our students to enhance the pathway opportunities available to them. 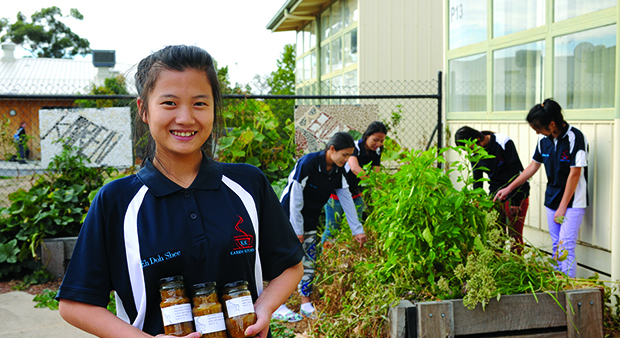 EAL VCAL has strong links with the community and a number of our projects are built around these partnerships, including setting up gardens at Gravel Hill, completing driver education courses and attending leadership camps run by Rotary. The New Arrivals program also supports our EAL students by providing them with an after-school hours homework program. The Bendigo EAL Learning Support (BELS) program runs twice a week and caters for students across all of Bendigo’s secondary colleges. The program is coordinated by a trained EAL teacher and is supported by community volunteers trained to work with refugee-background students. BELS is extensively used each week by our local secondary students catering for approximately 25-30 students each night. We are also able to provide, thanks to the kind donations from a local bakery, healthy food snacks for the students. These after school snacks help to maintain the energy and enthusiasm levels of students after a full day of school.